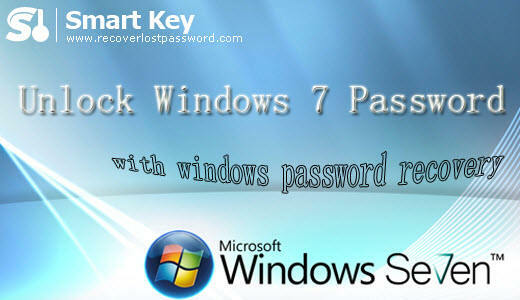 How to Unlock Windows 7 Login Password? I retired from a university last year. For lack of brain exercises in a long time, my memory is getting worse and worse. I tend to forget a lot of things that I am raking up the years. One big problem is that I always forget the password for logging on to my computer. For me, an old man with little computer knowledge, it is a bit difficult to figure out how to unlock Windows 7 password without others' advice. The paragraphs below are some ways to unlock Windows 7 passcode that I gathered from my friends. I summarized these methods in the hope that this article could be of some use for someone who have similar problems. Both of them can unlock Windows 7 administrator password and other standard account password. After you install Windows 7, you are suggested to create a Windows password reset disk proactively in case of Windows 7 password loss. The process is simple, you just need to click the "reset password" link on the log-in page after you log in with wrong password and then insert the reset disk. 2. Click on "User Accounts and Family Safety." When the next screen pops up, choose "User Accounts". Continue the process and enter the new password. Upon the completion of the disk, remove your device. 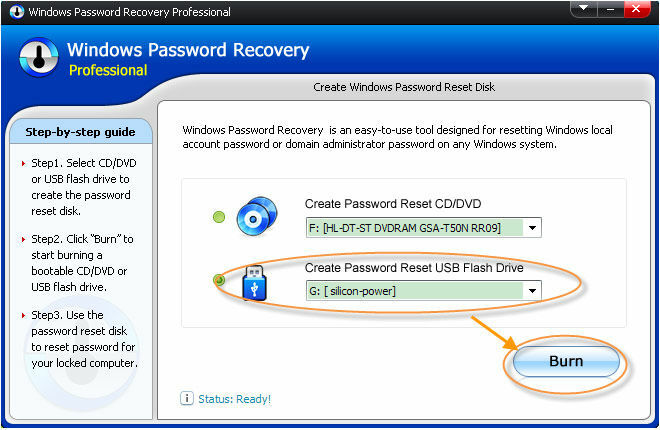 If you haven't created a password reset disk, there is no doubt that you could not use this method to unlock Windows 7. In this case Windows 7 Password Unlocker may be a good help. Windows 7 password recovery tool is an easy-to-use software tool designed to help users unlock Windows password. The powerful tool could unlock any Windows passwords (even unlock Windows 7 admin password) as long as you have a CD/DVD or USB to burn a bootable ISO image. install & run it on a computer that you have access to. Then insert a CD/DVD or USB flash drive into the CD-ROM. Specific your target device—"CD/DVD" or USB flash drive and Click "Burn" to start burning bootable CD or USB drive. Insert this CD onto the computer which you want to get back the password. 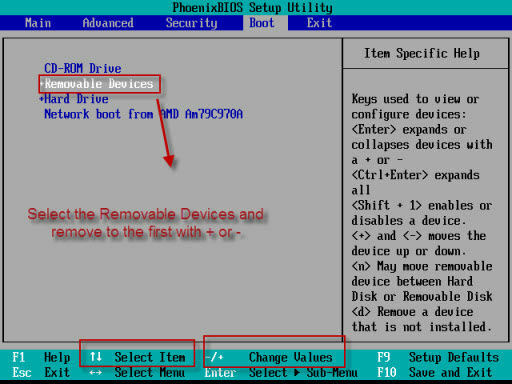 And then change the computer's BIOS setting to make it boot from "Removable Devices". Specify the Windows installation. 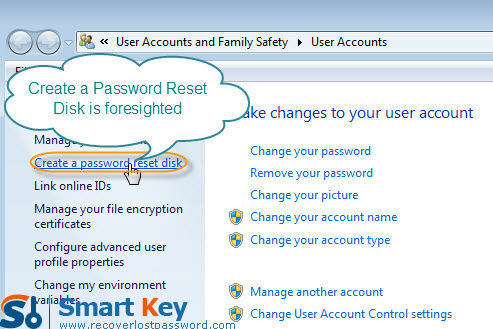 For resetting Windows 7 administrator password, directly type the new password; for resetting local account password, highlight the certain user name and click "reset" to remove password. Restart your computer by clicking "reboot". When your computer start again you will find that you have successfully unlocked Windows 7 password. How to Password Protect my Windows 7 Account? How to Recover the Win7 Password? How to Reset your Lost Windows 7 Password?